I was always a little confused by the naming of Disney’s Gummi Bears, since it always brought to mind those little jelly teddy bear penny sweets. Â Apart from being bears I couldn’t understand why this cartoon was named after the sweets yet the bears didn’t seem to have much in common with their tasty namesakes. The Gummi Bears in the the TV show were the remnants of a once great civilisation of bears gifted with magical powers, who were forced out of their native habitat by humans who were jealous of their abilities. The cartoon centres around the six remaining Gummi Bears, who are Gruffi (the rather grumpy but very practical unofficial leader), Zummi (the eldest who dabbles in magic but is a bit forgetful), Â Grammi (the motherly bear who makes their secret potion), Tummi (there always has to be a portly one, doesn’t there? ), Sunni (the rebellious teenager) and Cubbi (the young headstrong knight in training). Â In later series they were joined by Gusto, an artist who had been living on a desert island for many years. Â Whether these bears were actually family members is not clear, but they seem to be keen on names ending in the letter “I”. The bears live in a place called Gummi Glen where they have managed to hide themselves away from humans until a young boy named Cavin stumbles upon them. Â Initially distrusting Cavin (for fairly obvious reasons) they soon befriend him when he shows he is a much more caring individual than the average human. Â It also turns out that a medallion owned by Cavin is actually an old Gummi Bear artifact, which they use to unlock The Great Book of Gummi, a tome containing lots of information about the old Gummi civilisation. Cavin returns to his home of Dunwyn, a medieval kingdom which is neighboured by the kingdom of Drekmore, a less pleasant place ruled over by Duke Igthorn, who with his band of ogres attempts to attack Dunwyn. Â The Gummi’s lend their help in defending the kingdom, but unfortunately reveal their existence to Igthorn in the process. Igthorn vows to track the Gummis down when he discovers their secret weapon, a magic potion called Gummiberry Juice. Â To a Gummi Bear it gives the ability to bounce high in the air, but if a human drinks it they are given a temporary boost in strength. The average episode therefore consisted of Duke Igthorn hatching some plot to catch the Gummi Bears, which of course he never managed to do. Â In addition to this the Gummi Bears were also trying to track down signs of their lost heritage, discovering useful and amazing pieces of technology invented by their forebears (pun intended). 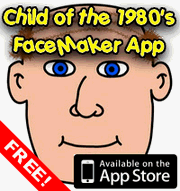 The cartoon proved immensely popular and it ran for six seasons from 1985 to 1990. Â Whilst it has been released on VHS in the past it has now been released in the US on DVD as a boxset comprising the first three seasons of the show. Update 25/11/08 – Thanks to Karen for pointing me towards a YouTube clip of the Gummi Bears theme song. Â It’s embedded below and its quite a fun tune. This entry is filed under TV - Cartoons	and was posted on November 24th, 2008. You can follow any responses to this entry through the RSS 2.0 feed. You can leave a response, or trackback from your own site. I LOVED these with a passion! 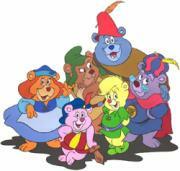 Everyone was else was into Care Bears, but I always though they were too goody goody, and much prefered Gummi Bears. Gruffi (had forgotten his name until now) was my favourite. I remember watching Gummi Bears whilst having my breakfast at the weekends, and you’re quite right, they were a lot less goody goody than the Care Bears! Sorry about that. The link doesn’t seem to be working.